Stackpole Books. Near Fine. 2000. First Edition. Softcover. 0811728617 . Excellent condition - clean and unmarked, cover has very light wear to corners and a little scuffing. 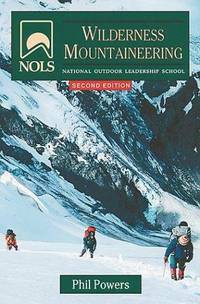 Second edition - 2000.; Nols Library; 8vo 8" - 9" tall; 226 pages; The new edition of this popular handbook has been updated to reflect advances in climbing equipment, technique, and safety. It is packed with clear, concise instruction on mountain hazards, climbing movement, equipment, safety systems, leading, descending, glacier travel, and rescue, with a separate chapter on style and ethics. Easy-to-read line drawings illustrate key points, including equipment use, roping, and mountaineering knots. Phil Powers is a veteran guide and climber with several first ascents, including the Washburn Face of Mount McKinley and the first winter traverse of the Cathedral Group in the Grand Tetons. The former chief mountaineering instructor at NOLS, he now owns and operates Jackson Hole Mountain Guides and is president of the American Mountain Guides Association. [300-notosl] . Perigee Books. New. 2000. First Edition. Softcover. 0399525858 . Large softcover is new and unread. 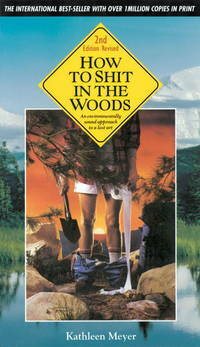 No stone is left unturned in this definitive book on backpacking and camping. Helpful checklists keep you from forgetting the essentials, sidebars provide tips and observations from seasoned hikers, while lists of resources tell you where to stock up on the best gear. Fully illustrated. ; 8vo 8" - 9" tall . Sierra Club. Good+. 1978. First Edition. Softcover. 087156209X . Ex-library with sturdy laminated & usual type markings. Light wear/light soiling cover & outer edges. Internal pages very good, occasional light wrinkling. Pocket-size format (8x5"). **shipping will be reduced to some locations) ; 8vo 8" - 9" tall . 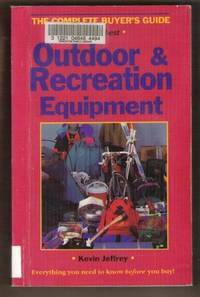 OUTDOOR & RECREATION EQUIPMENT Everything You Need to Know before You Buy! Foghorn Press. Very Good. 1993. First Edition. Softcover. 093570180X . Ex-library book with laminated cover and usual stamps & stickers. Overall wear is light, internal pages clean & tight. Outer edge of pages has moderate spotting/soiling (coffee stains? ). B/w illus. 490 pages. 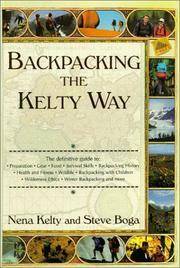 This comprehensive guide surveys & includes recommendations for personal travel gear, lightweight camping gear, backpacking gear, and activities gear (bikes & bike gear, trailers, canoes, kayaks) for outfitting most any outdoor trip. 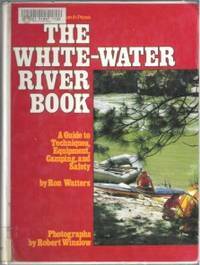 Although the book is a few years old & prices are likely outdated, it still contains a wealth of information about the various types of outdoor gear, which haven't really changed all that much. ; 8vo . Vancouver: Douglas & Mcintyre. Very Good. 1992. First Edition. Softcover. 1550540270 . Douglas & McIntyre edition 1992. Ex-library book, with sturdy laminated cover and usual ex-lib type markings. Light overall wear, light soiling, interior clean and tight. 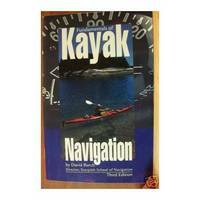 ; 8vo - over 7¾" - 9¾" tall; Get your feet--or rather your paddle--wet with The Outward Bound Canoeing Handbook. In the space of just over 100 pages, Paul Landry and Matty McNair cover the basic skills needed for traveling on wide lakes, narrow rivers, and variations of the two. 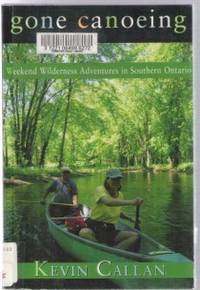 The authors boast solid credentials, having taught for Outward Bound and lived in Canada's Northwest Territories, a wet and soggy place made for canoeing if ever there was one. 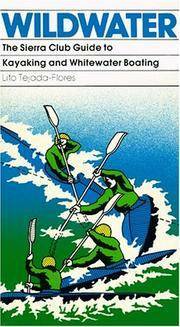 If you're heading out on your first trip and don't know the difference between a turning stroke and a brace, this book could save you enormous effort and frustration on the water..... (235-osl) . Ten Speed Press. Very Good. 1994. Softcover. 0898156270 . Pages clean, all intact and unmarked. Cover has light wear to edges and corners, a few small creases. ; 8vo - over 7¾" - 9¾" tall .